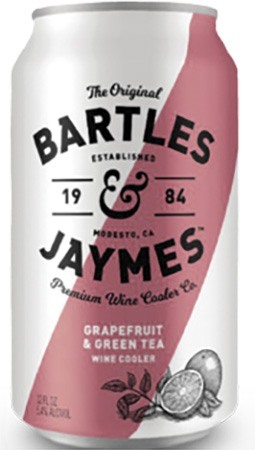 Bartles and Jaymes Grapefruit Green Tea wine cooler is light, refreshing and flavorful. Made from a refreshing blend of premium wine, sparkling water and natural fruit flavors. Made with real wine and it's gluten free.